Summer is almost over. Have you used your grill this summer? Hopefully you have. If not I have got a fast and easy meal for you to cook tonight. And yes, it is for your grill. As you are strolling thru the meat aisle at your local grocery store have you ever noticed those over priced kabobs in the butcher display case? I notice them all the time and I notice the price. 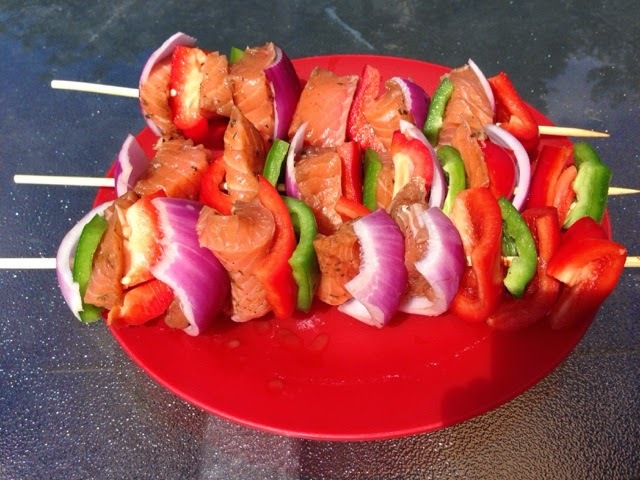 Save your money, with just a few simple steps you can create a kabob that looks that good. You can add anything your mouth is watering for on a kabob stick. First cut you salmon in square pieces. Make sure you cut the skin from your salmon if it has skin on it. Cut your onion and peppers into pieces the size of your salmon. Once all ingredients are prepped, place the ingredients on the kabob stick. There is no correct order. I do like to go veggie, meat, onion, veggie, meat, etc. Place the kabobs on medium heat on the grill. Rotate the kabobs until done. That is it. This meal is easy to prep and easy to cook and they are so delicious. Your family will love it. 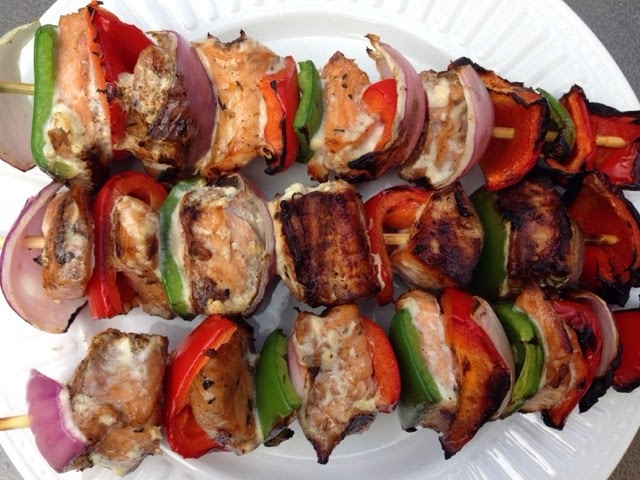 Let me know what you added to your salmon kabobs. If you are looking for other great recipes check these out.